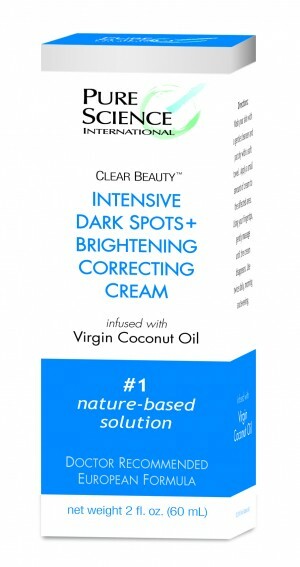 For Your Dark Spots: First, Clear Beauty™ Intensive Dark Spots & Skin Brightening Correcting Cream contains a healthy combination of skin brightening ingredients such as Virgin Coconut Oil, Licorice Extract, Niacinamide, Borago Officinalis Seed Oil, 1-Methylhydantoine-2-imide and Emblica Extract. These ingredients have been shown to brighten skin, even skin tones, and most importantly, help reduce unattractive discoloration of age and dark spots. For Improving Your Skin: We have lovingly added skin enhancing ingredients such as Squalene, Glycerin, Ceramide vi, Linum Usitatissimum (Linseed) Seed Oil, Vitamin A Palmitate Liquid, Retinyl Palmitate and Cyclomethicone. These ingredients have been shown to rejuvenate, heal, hydrate skin, increase collagen, reduce UV-induced wrinkle formation, Improves skin elasticity, and enhance skin cell regeneration and much more. I apologize to those who regularly read my blog, but I had to be a cheerleader for this amazing skin care product. Our mantra has always been, “Love your skin and your skin will love you.” Start loving your skin today. This entry was posted in Article and tagged dark spot, skin brightening, skin care, skin lightening. Bookmark the permalink.